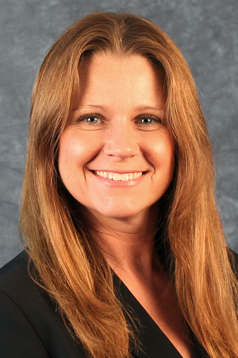 As relocation Director of Operations, Kim manages the promotion and direction for HUFF Realty Relocation. She is responsible for the day-to-day management and development of opportunities for growth.Experienced as the Home Sales Coordinator, Kim serves as a liaison between the transferee and the third party relocation company working to assign relocation trained HUFF Realty agent to list and market the transferee's property in an effort to sell quickly. She supervises the corporate inventory home sale referrals, and is responsible for assigning the agent to the listing. Kim oversees the marketing and the care that the home receives during its vacant status while it is listed for sale. Her responsibilities also include BMA studies, negotiation assistance, utility transfers, billing, and the processing of an accepted contract. As coordinator for Outgoing Referrals, Kim can help you find a quality real estate broker outside the Greater Cincinnati Tri-State region to help you with your real estate needs, be it the purchase of your new residence, the sale or purchase of a vacation/second home, or investment property. HUFF Realty Relocation is a member of the Leading Real Estate Companies of the World. This membership has provided opportunities for HUFF Realty Relocation to assist their clients all around the world in purchasing or selling their property. 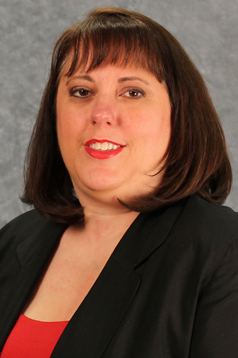 Kim is a licensed real estate professional licensed in Kentucky and Ohio. She has earned her RCC and GMS designations. Kim is committed to bringing you a high-touch service making your satisfaction her goal! As Relocation Director for Client Relations, Shirley is responsible for building and maintaining relationships with the third party relocation managements companies, the household goods moving companies, the third party housing providers, and other relocation vendor partners. HUFF Realty Relocation places a priority on our role as a trusted, responsive relocation partner and we are sincerely appreciative of these relationships. In addition, as Director of Corporate Development, Shirley works to broaden the base of corporate clients that HUFF Realty Relocation assists and to expand the range of relocation-related services that we can offer our clients and their transferees. HUFF Realty Relocation is a full-service relocation company providing solutions, support, and services to our corporate clients who move their employees domestically or internationally. Policy development, home sale programs, rental assistance, destination services, coordination of temporary living, shipment of household goods, mortgage services, and dual career assistance are among the menu of relocation services we provide. Shirley's tenure in the relocation industry along with her commitment to exceptional client relations provide a superior level of satisfaction and high-touch service to HUFF's corporate clients, their employees, the relocation management companies, our vendor partners and the HUFF Realty real estate agents. Through personal involvement and attention to detail, we earn their confidence. As the Incoming Home Finding Referral Coordinator, Karen works with all third party home finding referrals as well as all Leading Real Estate Companies of the World broker-to-broker referrals. 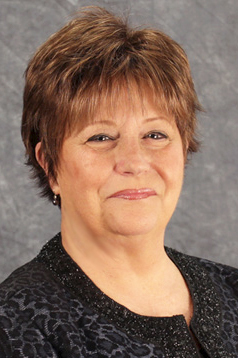 She enjoys helping to connect transferees and their families with a knowledgeable, experienced agent to assist them with their home sale, purchase or rental needs. As the Corporate Referral Counselor, Karen facilitates all referrals that come from our corporate clients.HUFF Realty Relocation provides services to our corporate clients domestically and internationally, including mortgage assistance, help with moving and coordination of temporary housing needs, if needed. Karen's many years in the real estate industry enhance her desire to provide the high-touch services to each and every transferee. She works to ensure excellent service and a pleasant real estate experience for the transferee and that the needs of the transferee and the corporate client are always met. HUFF Realty Relocation provides services to our corporate clients domestically and internationally, including mortgage assistance, help with moving and coordination of temporary housing needs, if needed. As the Corporate Relocation Coordinator, Heidi facilitates all referrals that are received from corporate clients. She fields leads for incoming and/or outgoing referrals, assess client needs and responds to inquiries and counsels the client through the relocation process. Her years of experience as a Sales Representative working with Fortune 500 companies has made her well-versed in professional protocols required in dealing with large corporate customers. She is a customer-focused professional who strives to ensure that every transferee has a superior client experience that provides a high touch service. As the Rental Coordinator, Christina provides administrative assistance within the Relocation Department, primarily in support of rental services. She is responsible for providing rental information and promoting rental services to renters, owners and agents while maintaining a position of advocacy for the Rental Department. In her capacity as Rental Coordinator, Christina provides education and training to our agents on services, processes and policies, creates and sends marketing materials and communications, develops and maintains relationships with rental communities and landlords throughout the service area. In addition, Christina is a licensed real estate professional in the state of Kentucky. She always looks forward to providing a high touch service to renters, owners and agents. As the administrative assistant, Debbie provides ongoing administrative support for the Relocation Director and staff, including creation of correspondence, reports, and presentations. She is responsible for maintaining the supplies needed to create the relocation packets that are distributed to incoming transferees. Debbie supports the Relocation team by creating folders for all new transferees, labeling, and filing. She is in charge of ordering and distributing office supplies. Her assistance, allows the counselors to provide the time needed to focus on each and every transferee. Her years of experience as an administrative assistant have provided her with outstanding communication and interpersonal skills. She is truly customer service driven and provides a high touch service to all.